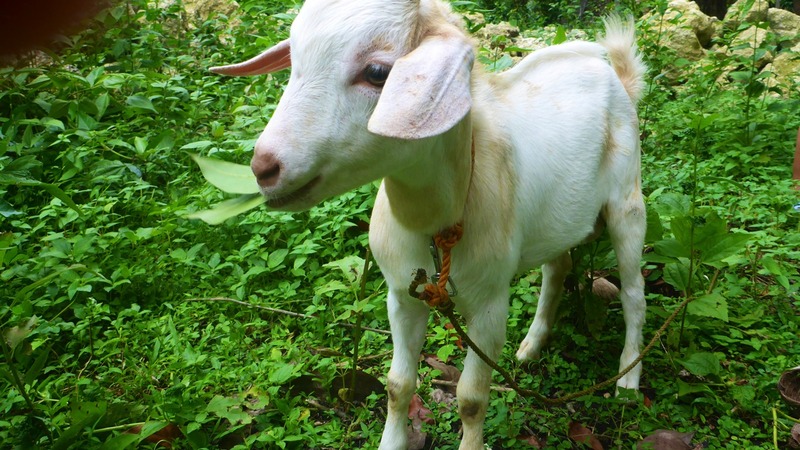 It was in October 2011 when we got our first goat Buttercup. 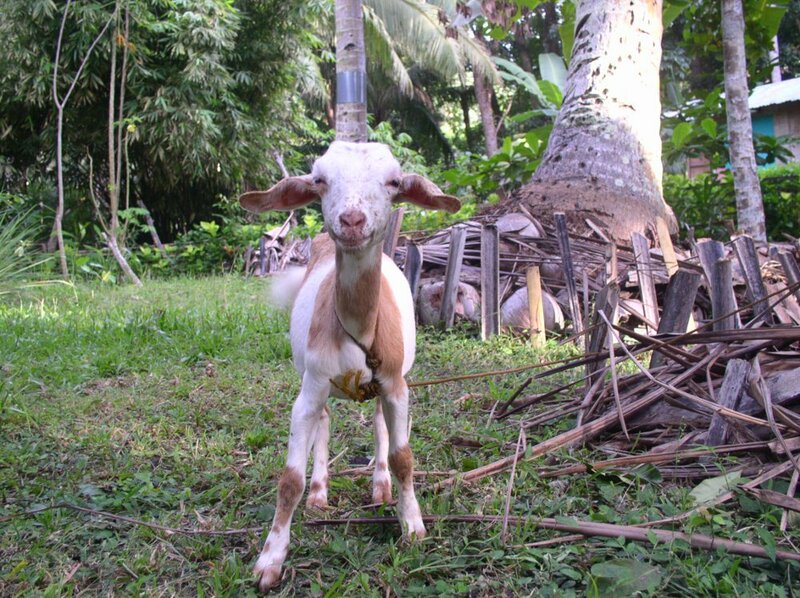 We got her when she was about 3 months old on a kind of informal “lend-a-goat” scheme from a neighbour. 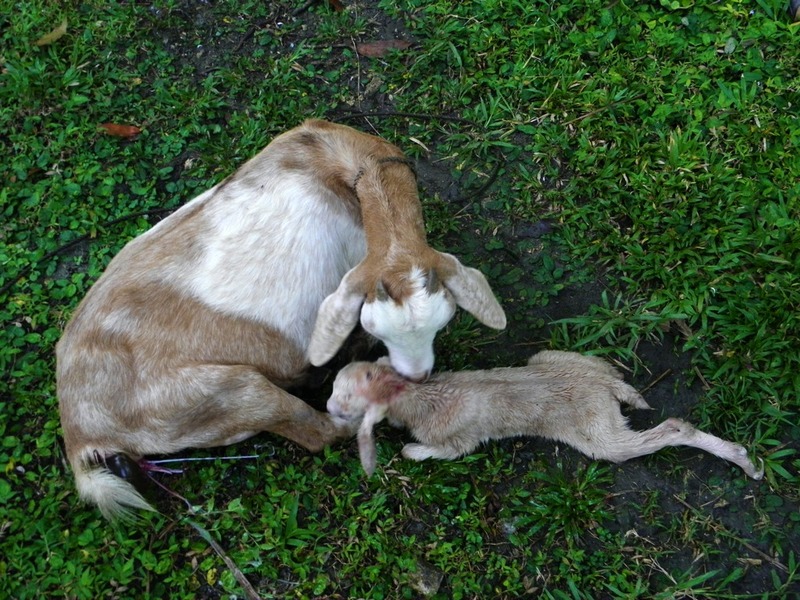 When Buttercup was nine months old, she gave birth to her very first kid, Polly. 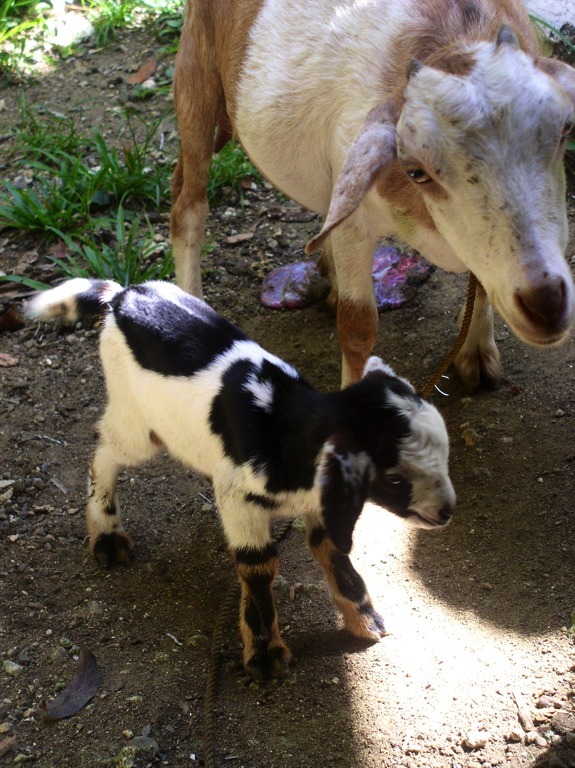 Our first goat Buttercup at 3 months old in October 2011. Mommy Buttercup with her new kid Polly. Polly was born on April 24, 2012. Buttercup with her kid Polly. 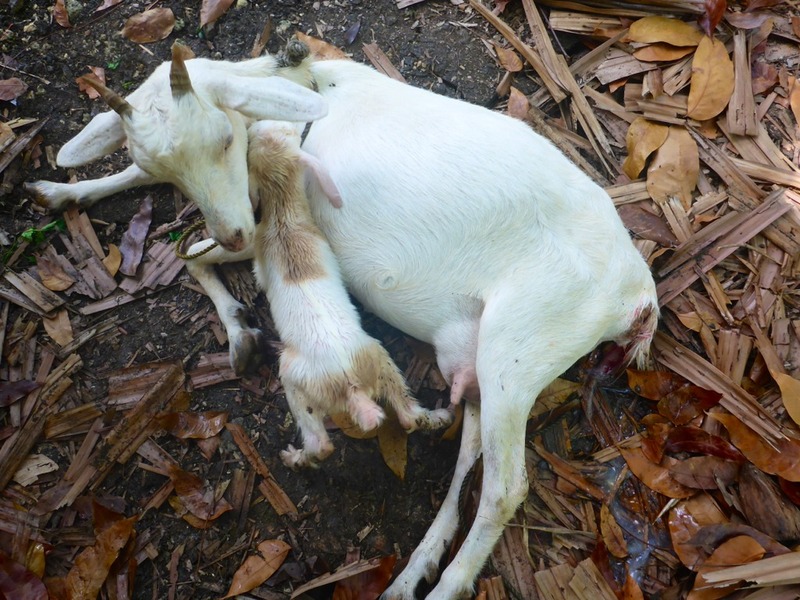 After about 11 months, Buttercup gave birth to her second kid. We called the new kid Latte. It was not easy delivering Latte because he was a rather large kid. His father was a large white Nubian. Mommy Buttercup with new kid Latte. Latte was born on March 28, 2013. 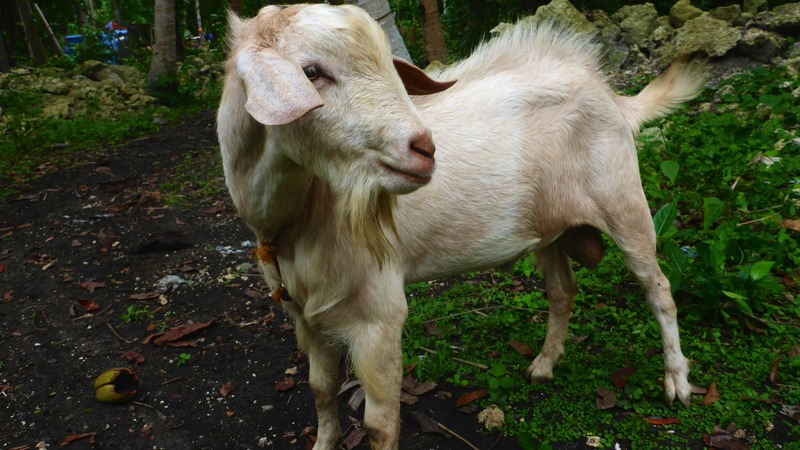 Creamy Latte, now our big billy goat. Here he is 1 year and 4 months old. Later, to prevent in-breeding, we exchanged Polly for a female goat, Snowball. We don’t know exactly how old Snowball is. In April 2015, she gave birth to a large kid, Bullet. It wasn’t easy delivering Bullet, but she made it! Mommy Snowball with her new kid Bullet. Newly born Bullet. He was born on April 21, 2015. Bullet at 4 months old. 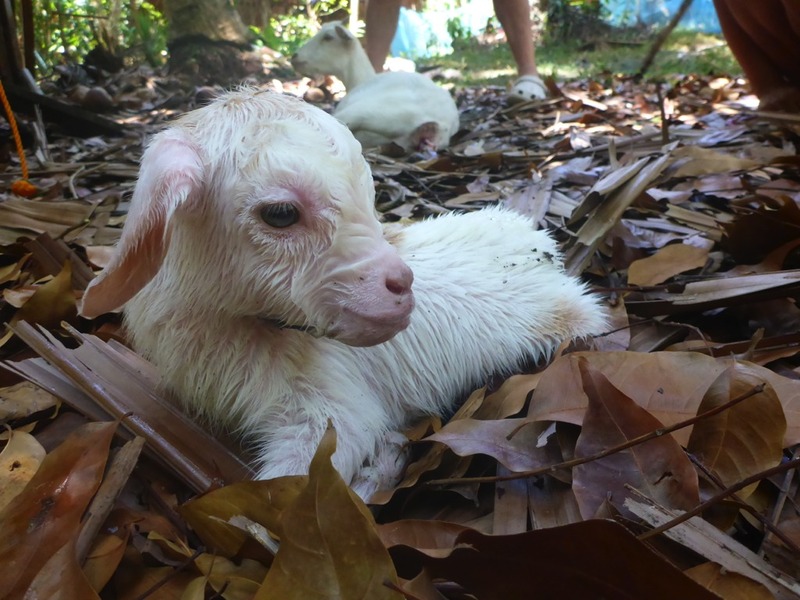 At the moment, we are keeping three goats plus one goat from Penny, a total of four goats. 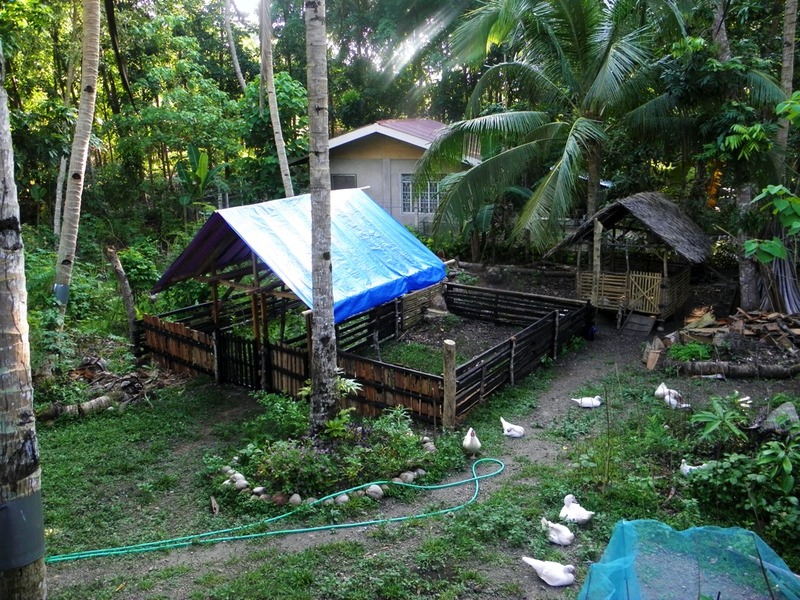 So we built a goat house where the goats are kept during the night. 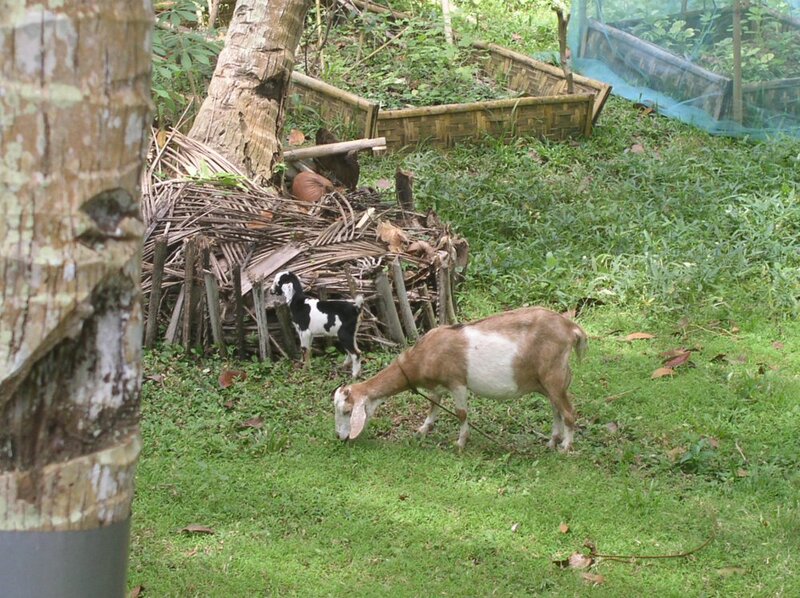 Early in the morning, the goats are herded outside to pasture. Then late in the afternoon they are brought back home. We intend to sell Bullet before the end of this year 2015 so mommy Snowball can have another kid, or maybe even two! Here’s our goat house. This can accommodate 3 goats. 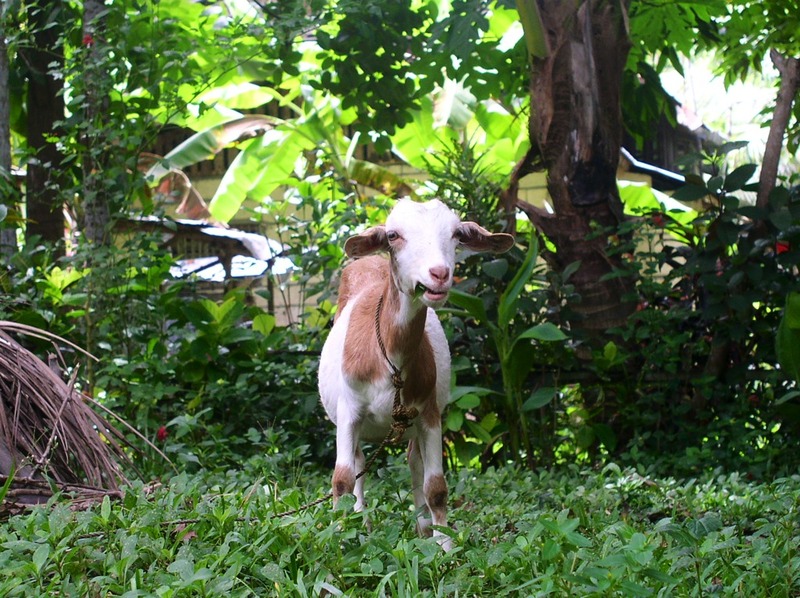 Later I hope to fence out a larger area in the garden where goats can have more space. 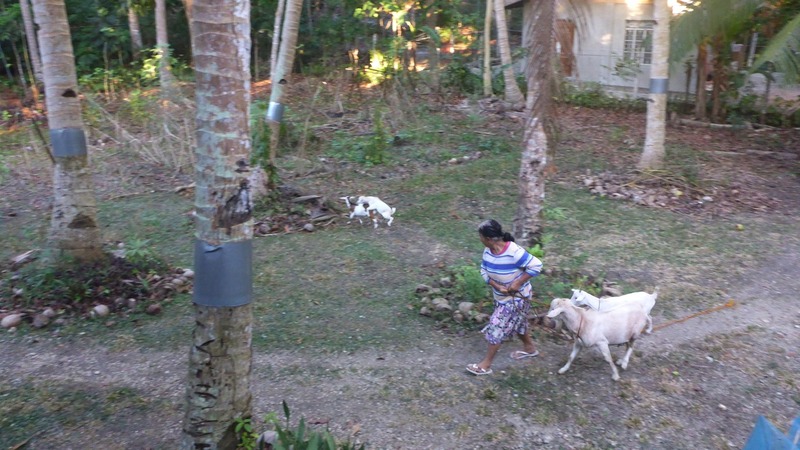 Early in the morning, Penny brings the goats out to pasture. 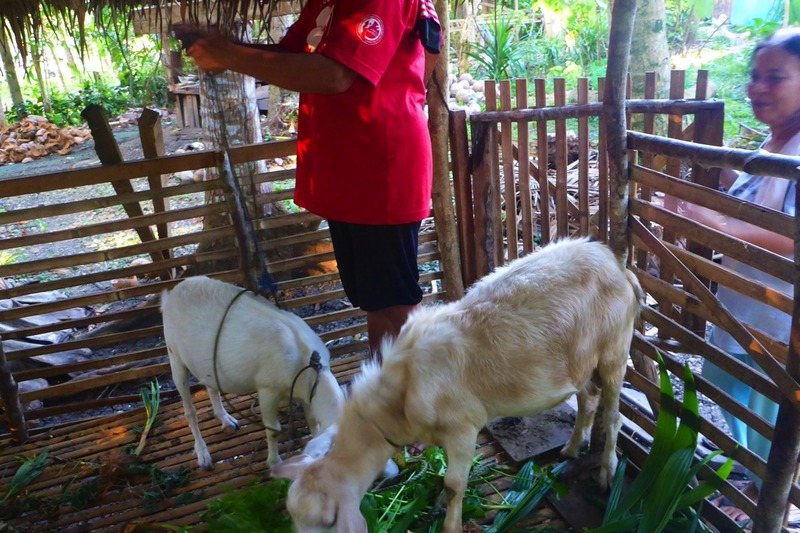 In the late afternoon, the goats are brought back into their little house. 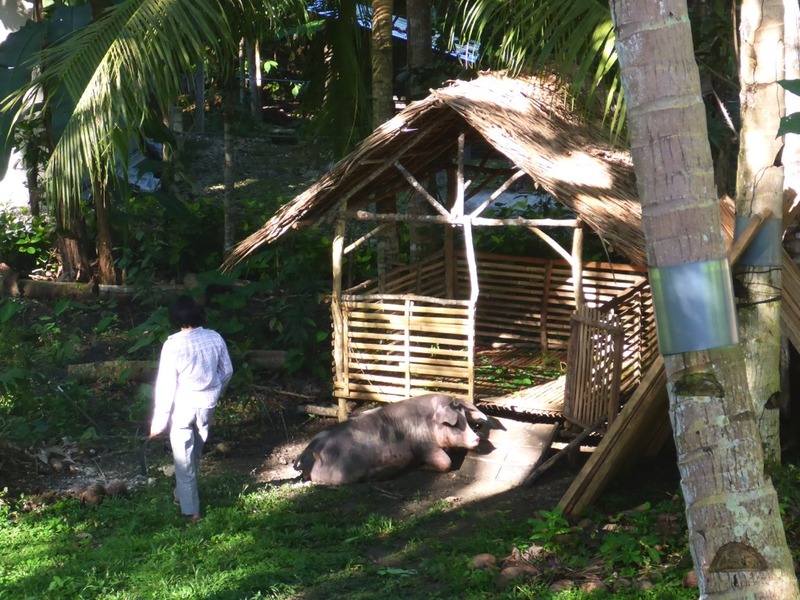 This photo shows the pig pens (with the blue tarpaulin roof) and just behind that, the little goat house with the nipa roof. Here are some videos of our goats.